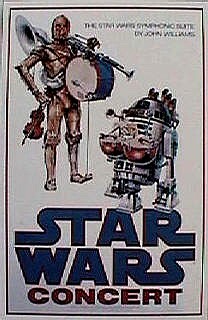 Star Wars Newspaper Ad Slicks: This selection of Star Wars ad slicks offers a rare glimpse of some of the newspaper advertising associated with Star Wars in its heyday. Like pressbooks,these larger format slicks are traditionally sent to newspapers and/or movie theaters where lists of local venues are added before it goes to press. Most slicks are found incomplete, with sections either clipped out or entire pages missing. Many times the pages will be seperated and sold seperately. The Happy Birthday slick, which measures 12x19 inches, includes 5 pages of the familiar birthday cake graphic in various sizes. It is interesting to see this image in reverse tone however, with a white background instead of black. This of course was a necessary consideration to conserve ink, and to keep it off the thumbs of readers. 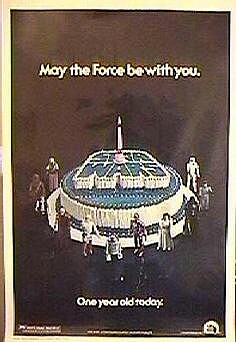 A rare find, especially when one considers it's sole intent was to advertise a film already a year old on May 25, 1978. Another slick that was used for just one day is the Happy Holidays or Christmas slick, printed for the December 25, 1977 newspaper editions. 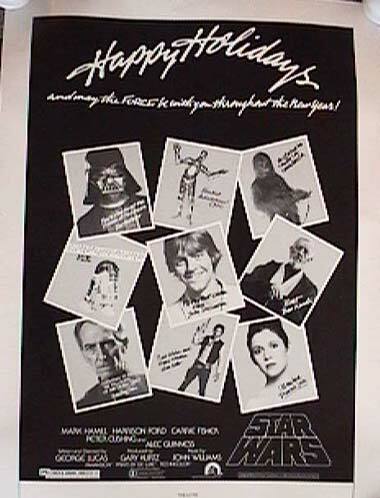 This is a single page ad which measures 13 1/2 x 19 1/2 inches, and features several of the cast members wishing their best for the holidays. It's a nice, unusual graphic, which is exclusive to this piece of ad material. 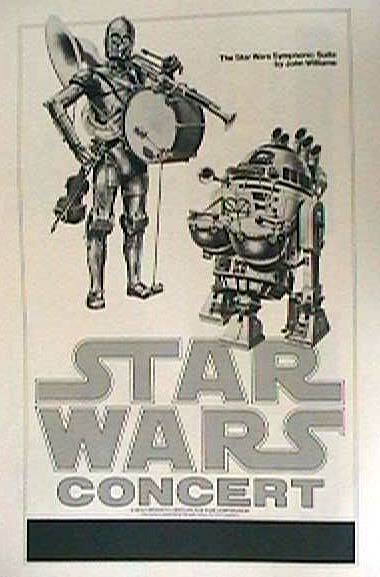 Finally, the Star Wars Concert slicks feature the John Alvin artwork used on the famously rare concert poster, and has the distinction of having never gone to press. Measuring 19x25, these 4 pages of differently sized ads was designed for a nationwide campaign that never materialized after the famous one-time show at the Hollywood Bowl in 1978. A batch of these was located in LA several years ago and every example found today in collections seems to have originated from this one find. It's a great alternative to the pricey color original, and maintains an ethereal place in the lore of Star Wars history. 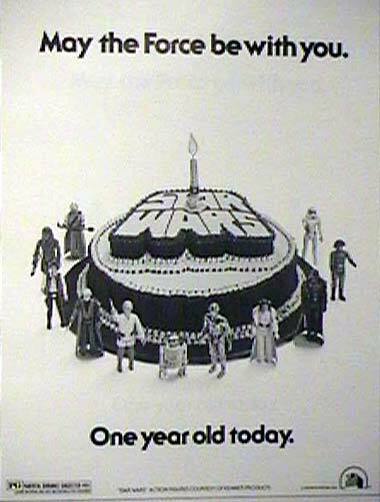 There of course were ad slicks printed for every release and re-release of the Star Wars films, but I felt these three represented an interesting diversion from the norm in terms of their graphic design and unique place in the history of Star Wars advertising.